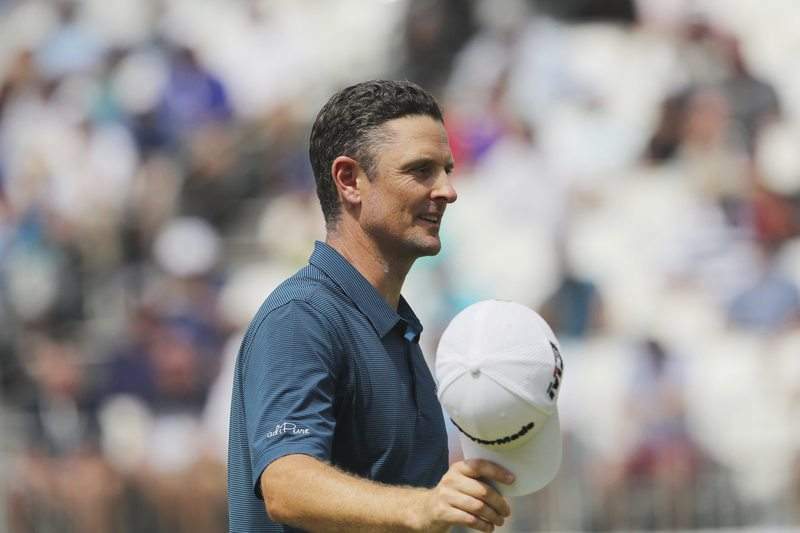 Associated Press Justin Rose tips his cap after his round at the BMW Championship at the Aronimink Golf Club in Newtown Square, Pa., on Friday. NEWTOWN SQUARE, Pa. – Justin Rose could sense the sky getting a little darker, the wind a little cooler and more brisk. Every shot means so much this time of the year, and the last two holes Saturday at the BMW Championship might mean even more. Jordan Spieth was projected to fall just outside the top 30 in the FedEx Cup, which would mean missing the Tour Championship and getting some form of penalty from the PGA Tour because of his schedule. He would have one more day to change that. The question lingering amid the clouds: Would there be another round? Starting times were moved up to 7 a.m. today with hopes that the heavy rain stays away, and that the final round can get in. The forecast has a small window Monday morning if needed. If the rain is relentless, there's a chance of a 54-hole tournament, which has happened only once in the 11 years of the FedEx Cup playoffs. Rose was at 17-under 193, and 13 players were within five shots of the lead. That included Tiger Woods, who missed only two greens in regulation, kept a clean card, shot 66 and let a good round get away. That's how much of a pushover Aronimink has been this week. “Still have a good chance tomorrow,” Schauffele said. Keegan Bradley made two tough pars for a 66 and narrowly edged past Spieth for the 30th spot.